While the outlook for global shipping industry is cloudy at the moment, there still remain bright spots. What is clear though is that amidst the stormy conditions, the shipping industry in Singapore will need to focus on its strengths, becoming leaner and more focused to pull ahead and reposition themselves for future growth. The global shipping industry is currently looking at a challenging year ahead, beset by the challenges of weak global economic and trade growth, as well as a surplus of shipping capacity. In December 2015, credit ratings agency Fitch revised its outlook for the global shipping sector from stable in 2015 to negative in 2016. In their report, Fitch pointed out that the slowdown in China’s economic growth will impact the global shipping industry hard, especially since China accounts for a significant for two-thirds of global iron exports and a fifth of global coal exports. This forecast has proven to be uncannily accurate. In February 2016, the Baltic Dry Index (BDI) – a leading indicator of the global demand for commodities and raw materials – fell below 300 points, representing a record low. The implications of a plunge in the BDI is significant too, with a downwards trend indicative of global economies starting or continuing to contract. Hence the pessimistic outlook for the industry as a whole. However, it is important to realise that such challenging conditions are a result of circumstances that will pass in time. For those capable of staying resilient and looking towards the longer term, there are definitely opportunities for future growth. 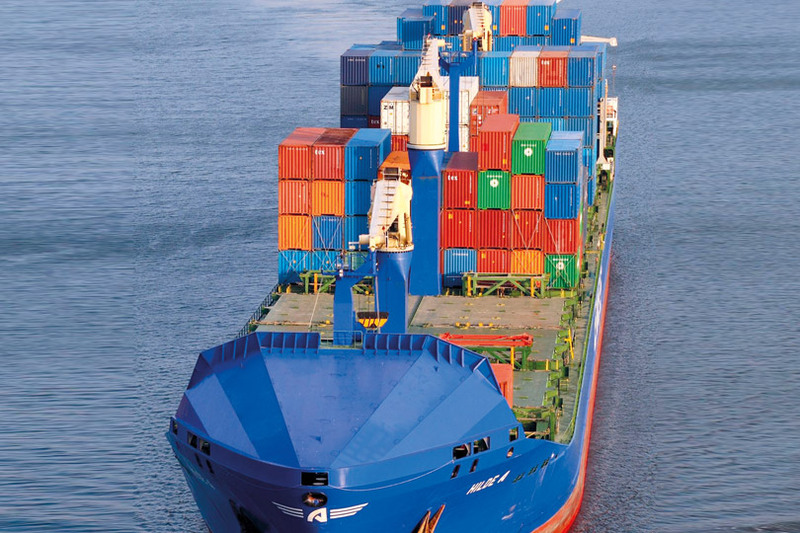 In its IHS Global Maritime Trends 2016, business information providers outlined two possible trends that shipping companies would do well to pay attention to. One factor that looks to positively impact the shipping industry is the introduction and adoption of Big Data analytics. What Big Data promises for the industry is the ability to better forecast market supply, demand and pricing, based on shipping data and analytics. By providing better insights, Big Data will allow shipping companies to become more effective and productive in their shipping operations. And while it won’t entirely eliminate uncertainty, data analytics can help shipping players reduce unnecessary market risks. Another factor that offers the potential for strong growth is shifting global demographics, with the rise of a burgeoning middle class in Asian, African and Latin-American developing economies. With their increasing disposables incomes, these regions are expected to see an upsurge in consumption. This will result in increased trade of goods and services, creating growth opportunities for shipping companies. Despite the challenging conditions, the Republic still remains a major shipping and trading hub globally. In 2015, the port of Singapore handled 30.62 million TEUs of container, making it the world's busiest transhipment Hub. This means Singapore accounts for almost one-seventh of the world's total container transhipment throughput and more than 4 per cent of global container throughput. In addition, the port of Singapore is recognised as one of the top sea ports internationally, and was voted the "Best Sea Port in Asia" for the 27th time at the 2015 Asian Freight, Logistics & Supply Chain Awards. Despite the accolades, the Republic is cognisant of the competitive nature of the shipping industry. As such, it has been constantly looking at improving its shipping and maritime port. Speaking at a Singapore Maritime Foundation (SMF) function in January 2016, Coordinating Minister for Infratructure Khaw Boon Wan announced that Singapore would provide an additional 10 per cent concession on port dues for container vessels calling in, with port stays of up to five days. Intended to help the shipping industry cope with the current downturn in the sector, the additional concession will be for a year and be on top of existing port dues concessions. These concessions are expected to provide more than S$17 million in annual savings for container lines. The port of Singapore will also allocate more resources to help customers enhance vessel productivity at the port and optimise network planning activities, such as service deployments and phasing in and out of vessels, with the aim of lowering their operational costs. In addition, it will look to engage container lines that wish to establish a long-term strategic presence in Singapore. Furthermore, in order to enhance its maritime and port efficiency, Singapore has been investing in technology such as simulation capabilities for marine traffic and port operations. The government is also shaping up the sector’s manpower under its national SkillsFuture Framework – tapping on a joint effort between private sector firms in the industry, educational institutions and the labour unions to ensure that Singaporeans in the sector are equipped with the necessary skills for tomorrow. Shipping is largely cyclical in nature, with boom and bust phases that are determined by global trade conditions and industry capacity. Nonetheless, with everything in mind, we can see that while conditions in the shipping industry are challenging for all at the moment, the long term prognosis is still a positive one.